1. Full servo motors operating, PLC control system, Industrial touch screen. 2. 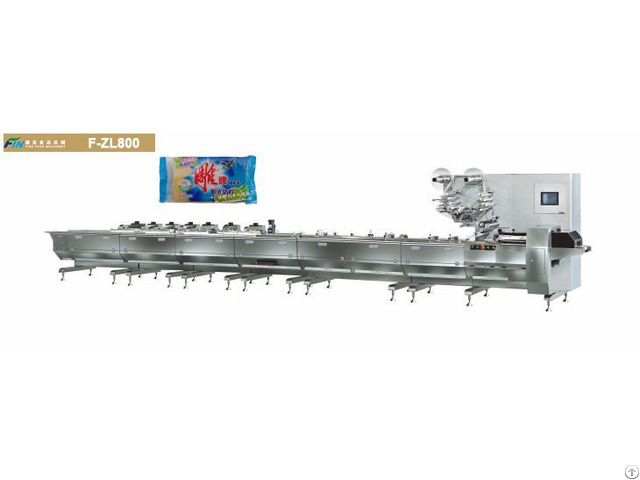 Automatic feeding for the complete packing line. 3. automatic position covering ensures no empty package. 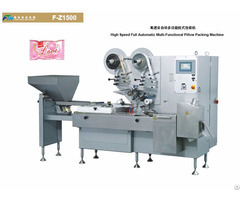 4. automatic speed adjustment, every conveyor belt is individual. 6. automatic cool the temperature through the air condition with two fans. 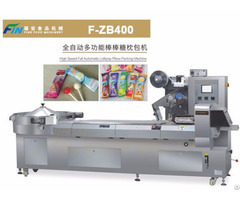 Business Description: FINE Food Machinery Co.,Ltd is one of the manufacturer and supplier of candy machinery, confectionery machine, candy packing machine, sugar packing machine, powder packing machine, soap packing machine, chocolate enrobing machine, chocolate bar packing machine etc. With good quality, reasonable price and perfect service system, we provide the complete service for product recommendation, technical support, installation, training and maintenance. 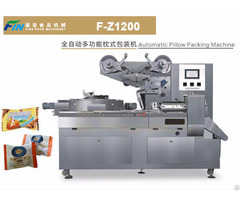 Now, the leading machine include the full automatic feeding, forming and cutting machine, hard candy depositing line, all types of pillow packing machines, twist type machines and full automatic chocolate feeding and packing lines.